As of April 2001 this page is under construction. We plan to have summaries of at least the Utah portions of the trails listed. The Latin-like paragraphs are merely to take up space in order to indicate the layout of the page. The historic trails that conducted emigrants from the East to the western regions of what is now the United States should not be thought of as discrete and unvarying roads like modern highways. Rather, they were trail systems with alternates, cutoffs (shortcuts), variants, branches and segments that could change fluidly depending on the pioneering of new routes and the circumstances of the emigrants. Travelers often adjusted their intended path to meet changing needs for speed, resupply or even safety. Modern-day Utah occupies a unique position in the western trails system. Because of its geography and relatively early settlement, Utah is a literal trail crossroads. The Spanish trail made a broad upward loop through Utah as it conducted travelers between California and New Mexico around the canyons of the Colorado River. Indians, mountaineers, fur trappers, traders, explorers and adventurers passed through the state on east-west and north-south routes, often leaving trails that others followed. Utah is the western terminus of the Mormon Trail. The California Trail had important alternates through Utah, the Hastings Cutoff passing south of the great Salt Lake and Hensley's Salt Lake Cutoff which connected Salt Lake City with the California Trail northwest of the lake in Idaho. Throngs of Forty-Niners as well as more conventional travelers took these routes. 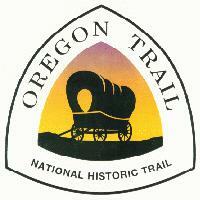 Emigrants bound for Oregon sometimes passed through the state. 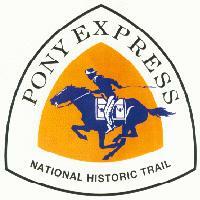 The Pony Express crossed Utah and in some places was contiguous with portions of the California and Mormon trails. The eastern and western segments of the first Transcontinental Railroad were joined here. Utah is truly a trails crossroads. In the descriptions that follow, contributors from the Utah Crossroads Chapter present general sketches of the major trails and additional detail about regional trail segments. Approximate route of the Spanish Trail. The Spanish Trail, an 1120-mile trade and emigration route, bridged the greater part of the American Southwest during the mid-nineteenth century and linked Santa Fe, New Mexico, with Los Angeles, California. John C. Fr�mont was the first to use the term "Spanish Trail" to describe the trade route linking New Mexico and California. He recorded the name in his official report and on his famous map of the 1844 expedition. Other mapmakers lifted the trail from Fr�mont's map and added the word "Old." In post-trail years, government surveyors (including the 1859 Macomb military expedition) who followed the route also added the word "old" to the name. The trail has Spanish roots, but it was opened during the Mexican period (1821-1848) of the Southwest. 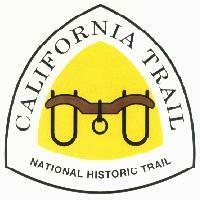 The concept of the trail arose during the Spanish colonial period of the American West. To defend the Spanish frontier from British, French, and Russian incursions, Spain sought to link its two most settled northern regions -- the upper Rio Grande in New Mexico and the California coast. Hostile tribes, however, blocked the straight path across Arizona that would tie together the northern frontier settlements. Arizona's long, waterless stretches and the cliffbound Colorado River presented other obstacles to direct east-west travel. In 1776, Franciscan priests Dominguez and Escalante explored a route from New Mexico to the Great Basin. Another Spaniard, Francisco Garces, explored the area from the Colorado River to the California settlements. Exploration was needed, however, to connect the Dominguez-Escalante route with the Garces route. Later Spanish trading parties made forays into the Great Basin to trade with Indians living along Utah's Wasatch Front, but no Spanish trails from New Mexico's heartland reached the Pacific Coast. In 1821, Spanish dominion over the Southwest passed to the Republic of Mexico. Hispanic traders revived attempts to reach the settlements of California only after learning of the travels of fur trapper Jedediah Smith. Smith made two overland treks (1826 and 1827) from the mountain wilderness to southern California, virtually connecting the routes of Garces and Dominguez-Escalante. By 1829, Smith's routes of travel were generally known in New Mexico. That year, the New Mexican merchant, Antonio Armijo, launched the first trading venture to California from New Mexico, following the extreme eastern and western segments of the Spanish Trail. In 1830-1831 the American mountain men William Wolfskill and George C. Yount led a fur trading party over the general course of the trail, from Santa Fe to Los Angeles. (In the party were New Mexican merchants who acquired horses in California and drove them back to New Mexico the following spring.) By 1840, the Spanish Trail had been laid out along the present course as we know it. Woolen goods and pack animals were the principal trade items on the Spanish Trail. New Mexico was sheep country -- woolen textiles were its chief product of export. Raw wool and locally-woven fabrics were packed on mules and carried to the Spanish-built settlements of southern California. Merchants left the upper Rio Grande Valley in the early fall to avoid the winter conditions in the interior mountains. It took trail riders two and one-half months to complete the overland journey. In California, woolen products were exchanged for horses and mules, which were driven back to New Mexico. The return trip was made in the spring to avoid the high water in the Green and Colorado rivers. The great livestock herds of southern California were in big demand in the interior West. Upwards of two thousand animals or more were driven over the trail. Pack animals were needed along the Santa Fe Trail to the Missouri frontier. (On reaching Santa Fe, many Spanish Trail horses and mules were herded up the Santa Fe Trail to the outfitting centers on the California, Oregon, and Mormon trails. These animals in turn conveyed many of the early pioneer settlers to the interior West.) Horse dealers also found a ready market among Native Americans and American fur trappers in the mountain wilderness. En route, Ute Indians exacted tribute from trading parties on the trail. As accomplished riders, the Utes were always in the market for horses. They generally maintained friendly relations with the caravans and engaged in limited commerce with the Hispanic merchants. The Southern Paiutes, occupying southwestern Utah and Nevada, were often victimized by passing trade caravans. Since they were not equestrians they were at a disadvantage in dealing with mounted traders who often enslaved their women and children. It became a sideline business of the yearly caravans. Slave traffickers sold their captives in the New Mexico and California settlements. Although Hispanic traders were the primary users of the trail, several mountain men traveled it, including Miles Goodyear, Thomas L. "Peg-leg" Smith, Old Bill Williams, Antoine Robidoux, and Joseph Walker. Several trapping parties used the northern branch of the trail that originated at Taos, New Mexico, and ran north through the San Luis Valley of Colorado before reaching the main Spanish Trail near Green River, Utah. In 1844, John C. Fr�mont's exploring party, guided by trappers Kit Carson and Thomas Fitzpatrick, followed the western section of the Spanish Trail and helped map its course. Fur trappers, traders, and Indians often stole horses from California's ranchos and missions, using the Spanish Trail as their escape route. Horse stealing became a flourishing business, prompting government officials to inspect the annual caravans before they departed the Los Angeles basin. From 1829 to 1848 the Spanish Trail passed through territory that belonged to the Republic of Mexico. In 1848, at the close of the Mexican War, Mexico deeded the Southwest to the United States. After the Mexican Cession, many overlanders chose more direct routes to the north and south. Those who chose a southern path could follow trails that had been carved out across Arizona by U.S. soldiers during the war. Thus, caravan traffic over the Spanish Trail soon came to an end. 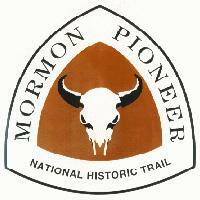 Mormon settlers developed the trail's western half for wagon traffic between Salt Lake City and Los Angeles. Known as the Southern Route, or Mormon Road, it became an important corridor to the Pacific. Segments of the Spanish Trail were used by Texas cattlemen who herded their livestock to the mining districts of southwestern Colorado in the post Civil War era. The Spanish Trail ran 1,120 miles from Santa Fe to Los Angeles. It looped northward through central Utah to avoid the deep river gorges of the Colorado River. The trail began in the Santa Fe plaza. It followed up the Rio Grande Valley then veered in a northwesterly direction through northern New Mexico. It crossed the Continental Divide before reaching the San Juan River in Colorado. The pack route continued across Colorado, passing near Mesa Verde, and entered Utah east of Monticello. From the rim of the basin, the trail reentered the drainage of the Colorado River. It crossed the northwestern corner of Arizona then continued to the meadows of Las Vegas after a 55-mile waterless desert stretch. Beyond Las Vegas, the trail crossed the Mojave Desert to the California coast, by way of Cajon Pass. Mission San Gabriel, nine miles from Los Angeles, was a supply point for early travelers. The plaza in Los Angeles was the end of the trail for many of the California-bound trading parties.